Raised from a pup by Greek hero, Odysseus, Argos has come to learn the true meaning of love and loyalty. But when Odysseus leaves for the Trojan War, little does Argos know it will be 20 years before he sees his master again. With Odysseus gone his wife, Penelope, and son, Telemachus, are easy prey for neighboring kings and the Gods themselves. But Argos was tasked to keep them safe until Odysseus returns and that is a promise he is determined to keep – whatever the cost. Told through his eyes, Argos recounts the story of his life – his pain, his joy, his triumphs and failures; his endurance in the face of hardships almost too great to believe. Above all else, Argos strives to do what is right – and to remain loyal to his King when all others have given up hope. To live long enough to see his beloved master one more time. ﻿"...the story doesn't disappoint...sure to touch your heart." ﻿"This was a stunning, epic adventure that I'd recommend to anybody and everybody!​." ​﻿"...wonderfully amusing, but also full of action and heartbreak." "Argos's adventures are many and varied and wild fun...II am not ashamed to admit I cried at a certain point. I won't say when." ﻿﻿"...it's extremely compelling and very fun to read. ...it's just one of those books that warms your heart.."
﻿"It’s such a lovely little companion piece and so incredibly easy to understand, a fantastic introduction. " 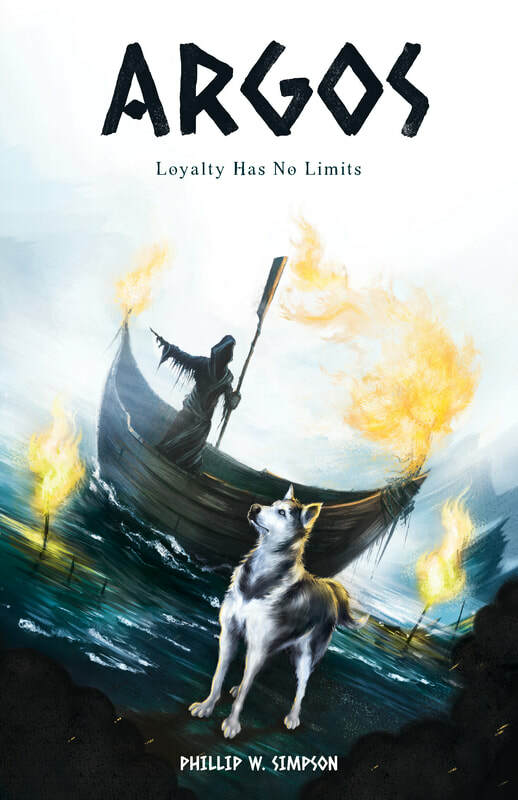 ﻿"...The story is warm and engaging from the start.."
"His canine vision of events, and the people he serves, brings a vitality to the ancient tale. I thoroughly enjoyed the book."